Translations and certification from Italian to Serbian and from Serbian to Italian. 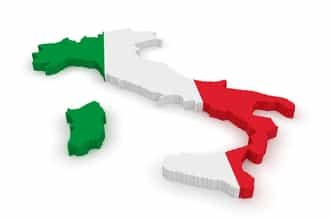 Translations provided by our sworn translators certified for Italian are legally valid and fully true to the original document. This is attested by translator’s certification. We translate and certify all types of documents and texts for individuals and companies, from Serbian into Italian and from Italian into Serbian. Popovic Translation Company provides translation services for various types of documents - marriage, birth and death certificates, forms, diplomas, certificates, attestations, registrations, tender documentation, correspondence, company registration, etc. Translators certified for Italian are professionals with the highest level of linguistic training. As sworn translators, they are authorized to provide a certified translation of a document and attest that the translations is fully true to its original. As one of the leading translation companies in Serbia, we have established an excellent communication with both individuals and top international and national companies. We provide Serbian to Italian and Italian to Serbian translation services for all industries and all types of documents. Our team of linguists will help our clients to convey their message successfully to the Italian-speaking audience. We provide our clients with top quality translation service in Belgrade, Serbia, and beyond. Our team of experienced and highly qualified translators includes specialists, always ready to meet all your translation and localization requirements.